Eastern Palm University (EPU) Supplementary Post-UTME and Direct Entry Admission form and Application Guidelines for 2018/2019 Academic Session. 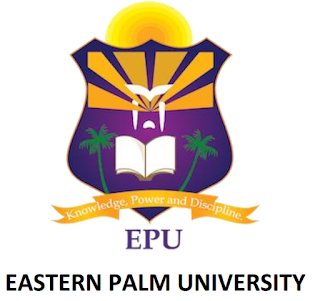 See Also: Eastern Palm University Accredited Courses and Requirements. B: Admissions office, Eastern Palm University, Ogboko.